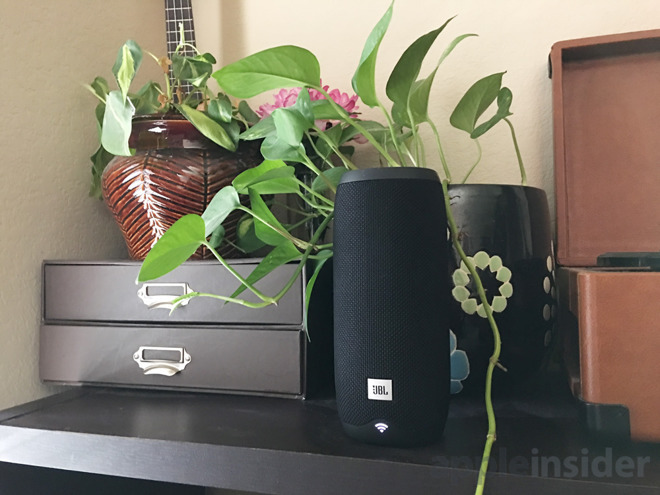 If you ask someone about speakers with Assistant, chances are, most people will still assume you can only get them from Google itself: the Home, the Home Mini, and the Home Max. Much like Amazon though, Google wants to make sure its voice technology is as widespread as possible. The Link 20 is one of JBL's first wave of compatible speakers. Unlike any of the Home products, though, the Link 20 resembles a pretty traditional speaker. It's tall and cylindrical, available in black or white, and has physical control buttons up top. It's also IPX7 waterproof, and a rechargeable battery provides up to 10 hours of playback if you're not hooked up to micro USB. Some differences quickly pop up though. For one, there's a Wi-Fi indicator on the bottom, since you'll need to have an internet connection to get Assistant working. Separate indicator lights telling you when Assistant is listening and responding, which are similar to those on the Google Home but not quite as recognizable, since they lack the Home's multicolor light show. You can trigger Assistant commands by saying "Hey Google" or "Okay Google," or alternately by tapping a dedicated button. A mic mute button is on the back if you want to ensure absolute privacy. Supported voice commands are similar to those on the Lenovo Smart Display or any other Assistant-ready device, though of course missing anything that would require a display. You can control music services like Spotify and Pandora, adjust smarthome devices, or just ask general knowledge questions like "Who is Albert Camus?" or "How far is it to Albuquerque?" Perhaps the most convenient thing about the Link 20 so far has been the ability to switch between Assistant and Bluetooth audio on the fly. We were able to ask it to "play the news" one moment then have it play podcasts from Overcast on our iPad the next. 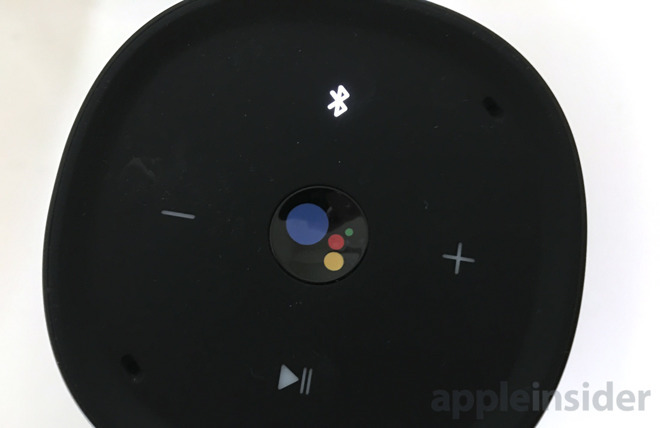 A catch, it should be said, is that you can't have both sources going simultaneously — if you start audio on a connected Bluetooth device, it'll interrupt anything Assistant was doing. We'll have more to say in a full review, coming later in August.